Sharjah: It’s time for the biggest retreat for children in the UAE. 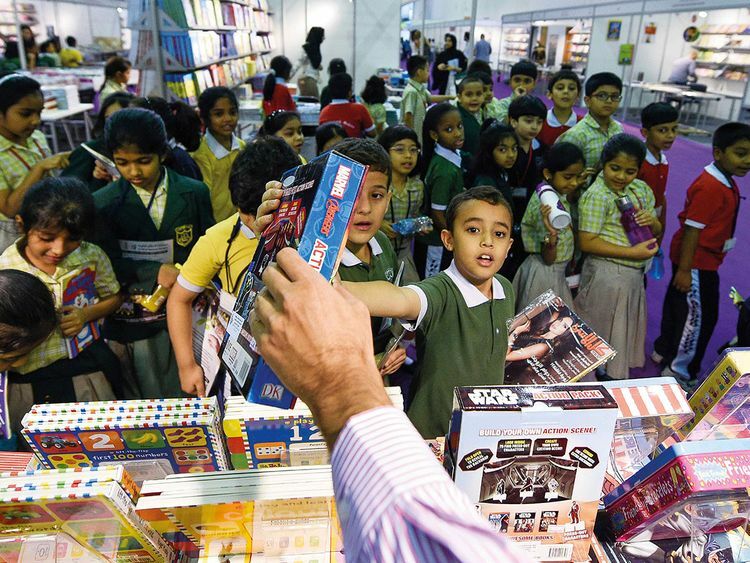 The 11th edition of Sharjah Children’s Reading Festival (SCRF) is all set to enthral children’s imagination from April 17 to 27 at the Sharjah Expo Centre. This year’s festival is the largest in terms of participation and activities; around 2,600 activities featuring 198 guests from 56 countries are scheduled during the 10-day fest. Last year, the event had more than 300,000 visitors. Being held under the theme ‘Explore Knowledge’, it is the only festival in the region dedicated especially to UAE’s children and youth. Organised by the Sharjah Book Authority (SBA), the festival will also host a series of film screenings and international theatre shows, in addition to showcasing a multitude of publications by 167 publishers from 18 countries who will be participating at the event. The festival has gone beyond just a book exhibition and developed into an integrated event that contributes to enriching the knowledge of visitors with science and literature, while ensuring the participation of organisations and centres dedicated to children. 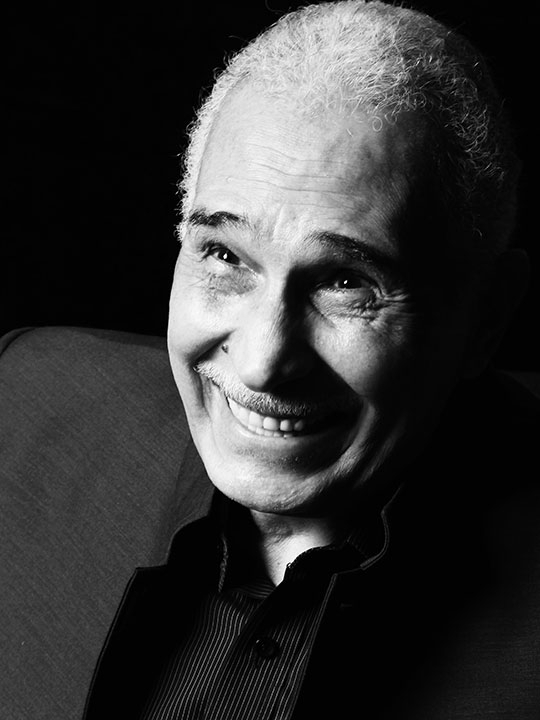 A host of renowned Arab artists, authors and intellectuals, including Abdelrahman Abo Zahra form Egypt, Qamar Al Safadi from Jordan, Haifa Hussein from Bahrain, Shaimaa Saif from Egypt, Falah Ahmad from Iraq, Amani Al Baba from Palestine, Yacoub El Sharouni, Hafedh bin Dhaifallah, along with Nora Al Noman, Dubai Belhoul and Mariam Al Zarouni from the UAE, will participate in SCRF. Carter Higgins from the USA; Sha’an d’Anthes, Ruby Lovell, Sonya Saidman and Zanib Mian from the UK; Juliette Maclver from New Zealand; Catherine Doyle from Ireland; Sergei Urban from Latvia, among several other international literary celebrities are also part of the programme. This year’s edition of SCRF will host two new exhibitions for the first time. ‘Travelling the Silk Road’ exhibition will be a gateway for visitors to the most celebrated trade route in history; the Silk Road, which extends from the Far East, China through the cities and empires of Central Asia and the Middle East. The exhibition will feature 176 activities. Themed ‘Voyage to the Deep’, the second exhibition will be taking visitors on a fascinating deep sea adventure of Captain Nemo, based on 1870 Jules Verne classic, 20,000 Leagues Under the Sea a The exhibition will feature 231 attractions. For the first time in SCRF’s history, visitors will enjoy opportunity 19 film screenings. Every day, parents and their children will be able to pick from a selection of classic animation films in Arabic and English, such as ‘Toy Story’, ‘Alice in Wonderland’, ‘Beauty and the Beast’ and ‘Pinocchio’, and many more. SCRF 2019 will see activities galore — 50 cultural events by 76 guests from 26 countries. The Children Activities agenda is bursting with variety with 1,806 of them being conducted by 59 guests from 21 countries. Also, on offer are live stage entertainment — theatre shows and plays — at the ballroom hall theatre in Arabic, English, Hindi and Urdu. 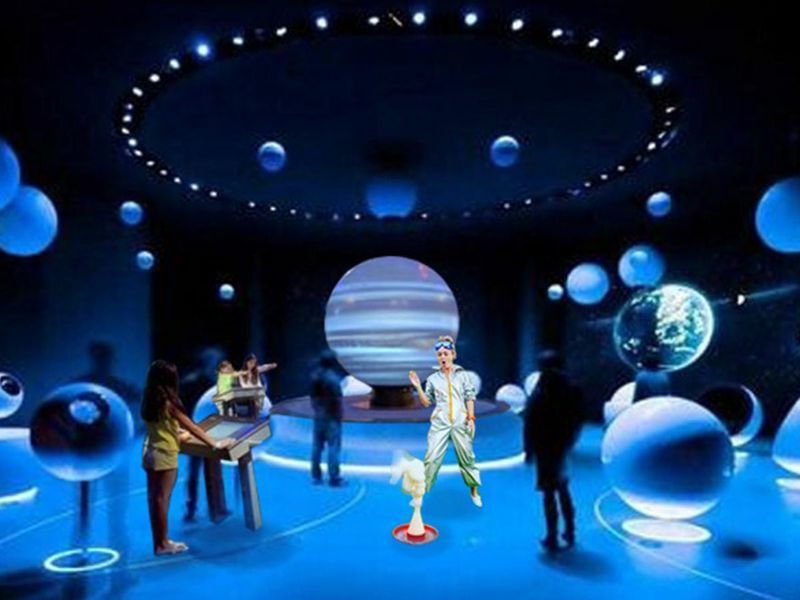 The most sought after of these shows are ‘Al Qatawa’ theatrical performance, ‘Tomorrow’ adventure play, ‘Underwater’ stage show, ‘Cosmic Explorers’ show, ‘Augmented Magic’ show, ‘Chaca Chhakkan in Action’ play, and the ‘Big B’ play. The festival features a series of workshops including a STEAM Laboratory — an interactive platform that will introduce children to science, technology, engineering, arts and mathematics through fun-filled activities. Other workshops will be organised on solar energy and music, video game design and life skills. SCRF will also host the 8th edition of the Sharjah Exhibition for Children’s Book Illustrations with 320 artists and illustrators from 55 countries. The festival offers children and young people the opportunity to learn about the Japanese Manga, taking them on a unique journey to the ‘Artists’ Alley’, a space dedicated to buy comic and other art works, and a ‘Comics Theatre’, which will host comic performances, competitions and workshops. The festival will host eight artists each from Arab and foreign countries who will deliver 80 activities. Kids Cafe will bring talented children together who have attained remarkable achievements in literature, science or media. Meet and greets with Arab chess champion Sultan Al Zaabi; the youngest Arab journalist Durar Al Muraqeb, the novelist Anfal, the writer Dhaher Al Muhairi, the writer and playwright Taif Al Dhafiri, the Pakistani TV anchor, public speaker and singer Tawasul Shah, and software developer Aadithyan Rajesh, will be organised. The famous cookery corner will be sizzling with a packed culinary itinerary of 140 workshops and live masterclasses presented by some of the youngest Arab and international chefs from eight nations. The stellar line-up of 13 includes Chef Anissa Helou, UK/Lebanon; ‘Little Chef Kicha’ Nihal Raj, India; Junior Chef Sabine, Syria; Chefs Ellie Krieger, Dario Steven, Lara Starr, USA; Jacqueline Chio-Lauri, Philippines and Scott Gooding, Australia. One of the busiest pavilions of the fair, the social media station will continue its activities with Arab and foreign social media influencers, who will share their experiences and knowledge with the visitors in 28 events. Guests are Munther Al Muzaki, Ali Hassan Bin Kamal, Mushayaa Family, Fayhan Family, Amber Filler Up and Jessica Shape. This year, the festival is organising an array of various cultural and educational competitions for school-aged children. The festival portfolio of awards includes ‘I am the Narrator’, a short story award for encouraging and supporting talented children in the field of creative narrative writing in Arabic or English. The ‘Festival Memories’ award gives visitors a unique opportunity to film a short documentary about their visit to the festival, while the School Students’ Competition is a daily award granted to the best written report that addresses one of the festival’s seminars. The festival features the ‘Poetry Knight’, a cultural competition that aims to explore talented young poets and encourage them to memorise some of the famous Arabic poems and teach them reciting techniques. Coming in from Pakistan are well-known radio presenter, TV and theatre artist and author, Yasmin Tahir, who is the daughter of famous Urdu dramatist, Syed Imtiaz Ali Taj; and Naeem Tahir who served as the Chief Executive at the Pakistan National Council of Arts, Ministry of Culture and is widely known for his theatre, film and television acting, as a scholar, public speaker, writer, teacher and dramatist. Renowned Egyptian actor Abdul Rahman Abu Zahra, popular for his work on film as well as television, and Jordanian artist Amar Safadi, an actor and voice-over artiste popular for his work on cartoons in the 1980s and ’90s, are among the big names who will be present at SCRF. The festival will also host Egyptian artist Shaimaa Saif, presenter of the popular television show Miss Understand; Bahraini actress Haifa Hussein; Iraqi producer and cartoon voice-over artiste Falah Ahmad; and children’s artist Amani Al Baba from Palestine, among many others. Prominent figures to attend will include Yacoub El Sharouni, a renowned children’s author from Egypt; Emirati Author Noura Al Noman, writer Omeima Ezzeddin, who has wrote several children’s books; Syrian poet Qahtan Berkdar; and Jordanian scriptwriter Maria Dadoush; among others. 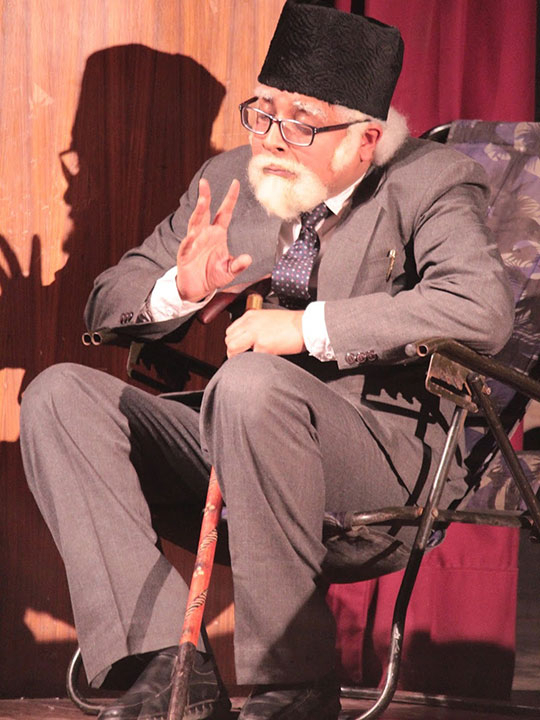 A humorous Urdu-language play titled ‘Chacha Chhakkan In Action’ portraying a Lucknow family comprising Chhakkan, his wife and their six overactive children, will certainly draw laughs from the audience. Another production, titled, ‘BIG B’, comically depicts the Indian education system, and is based on the popular Bade Bhai Sahib story about the educational journey of two very different brothers.